The Parabel table is designed by Eero Aarnio in 1949, which is made of fiberglass. Any color is available, such as white, red, yellow, orange and so on. There are two sizes for choice, dining table or coffee table. Designed by Eero Aarnio in 2003, the focus chair is made from fiberglass as well. High quality upholstery is used to covered in the fiberglass frame, many patterns are available. 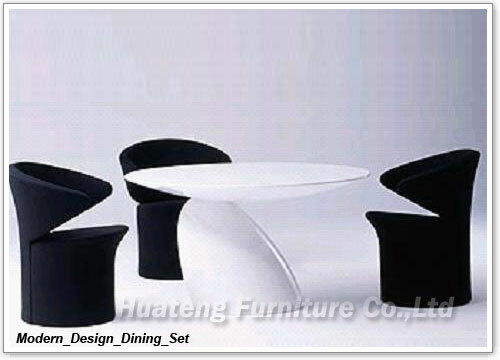 This special shaped chair attracts many focus which just as the name shown--Focus Chair.